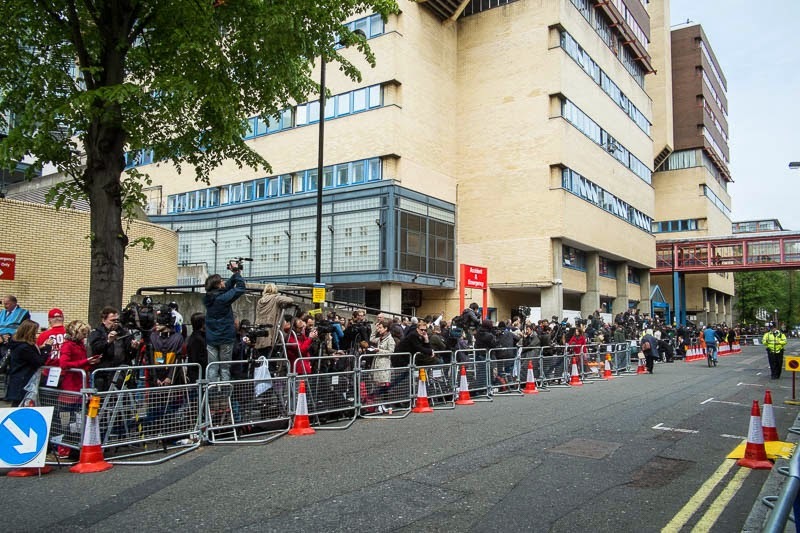 The media frenzy outside the hospital waiting for the announcement of the new baby. this must be seen..., well done, Mo ! I did hear the news of course but, I didn't seem much coverage over here. Not like the last time. Just like when my children were born! I just heard the newborn´s name on the news. She looked very cute the baby girl, and her mum looked amazing after giving birth 8-9 hours ago. And they didn't name her Moon Unit. Flash! Kate had the baby. And, she is Charlotte Elizabeth Diana, Princess of Cambridge. I know because my daughter is about to give birth and worried that they were going to use one of the names on her (my daughter's) short list. I am hoping she (my daughter) doesn't choose Moon Unit.